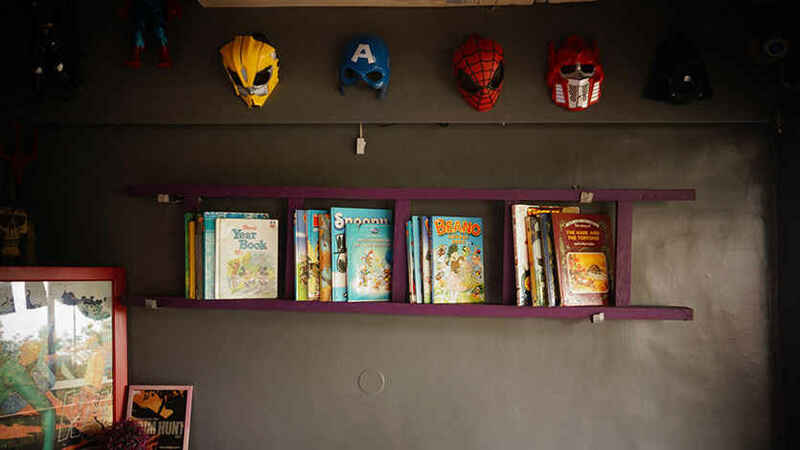 What A Comic Show has been around for quite a while now, and we bet you cannot find any other place in Delhi which boasts of a better comic-themed cafe! Before we even set foot in the cafe, the nerd vibes kicked in as we climbed the stairs and looked at grey walls papered with the most amazing posters of our favourite superheroes. 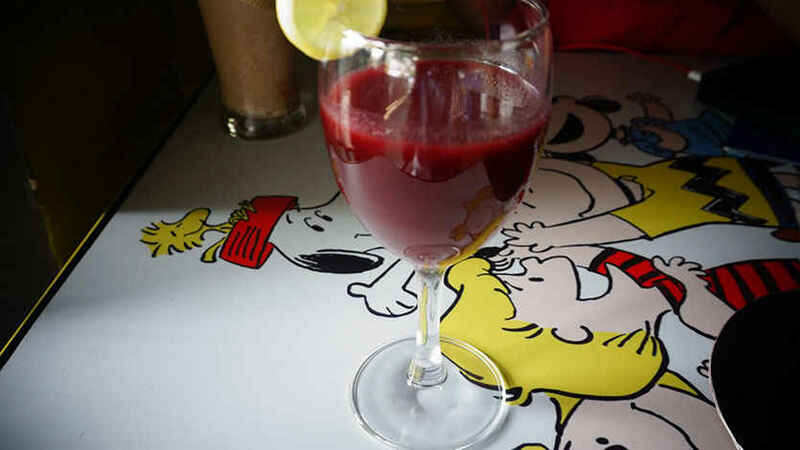 This joint, situated in in the heart of South Delhi, in SDA, has the most quirky interiors with yellow and purple chairs and tables having comic strips printed on them so that you don’t have a dull moment whilst waiting for your food to arrive. The owners, who themselves are absolute manic comic lovers, tell us about how they wanted the place to take everyone back to an era before Pokemon, when we used to immerse ourselves in endless comic strips. And this is why they’ve added books from their own personal collection and house Indian comics as well. The shelves and racks are either filled with comic books or superhero figurines and collectibles. The owner&apos;s dedication can also be seen in their menu, which they have very smartly curated keeping in mind the central theme of the place. All their cocktails from Sandman to Hammer of the Thor are not just unique concoctions, but are equally brilliant too. Moving on to the food, they’ve divided the menu into two categories of ‘Popular’ and ‘Chef’s Special’ to help us fickle-minded simpletons reach a decision. Moreover, they serve both Continental as well as Oriental cuisine, and boy, you can clearly make out how much effort has been put in, be it something as basic as Lemon Chicken or something as distinguished as Loaded Hasselback Potatoes. Here’s exactly what we tucked into here! We started with some Chicken Melts. 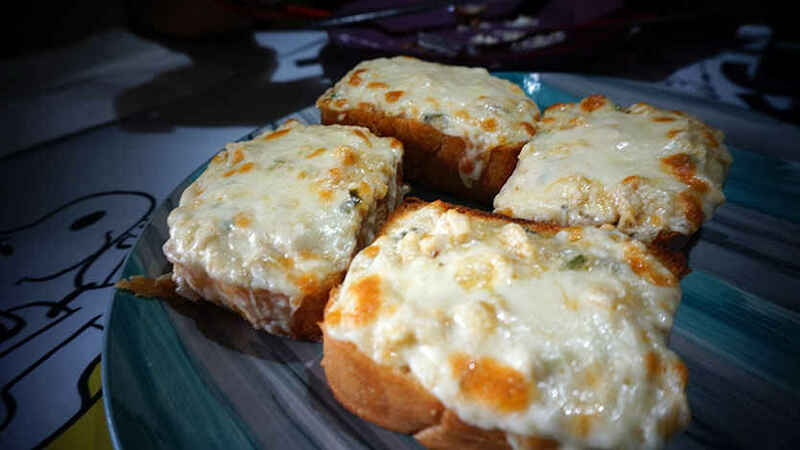 A base of garlic bread, topped with loads of cheese and super soft chicken hunks, these will literally melt in your mouth. The portions aren’t too small either, for starters. We definitely recommend you whet your appetite with this one! Next we tried their Super Non-Veg Platter, which is definitely unlike normal non-veg platters. 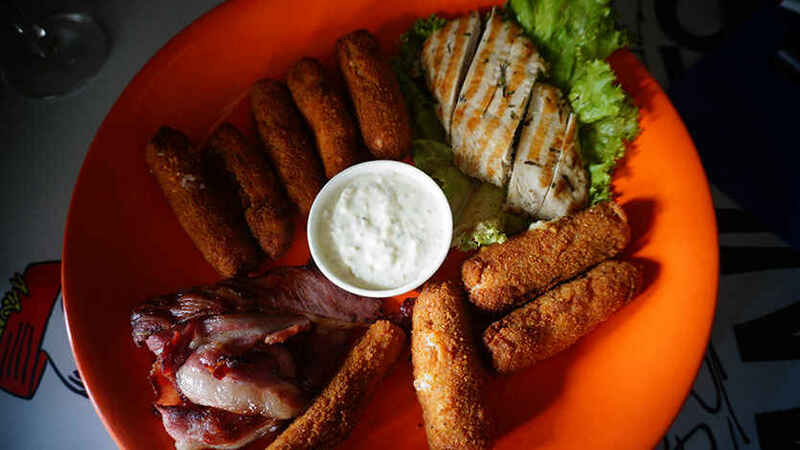 Serving Fish Fingers, Chicken Fingers, Grilled Bacon and Sausage Surprise, it was an absolute delight to hog on this. We personally loved their bacon the most, especially considering how rarely you find well-cooked, decent quality bacon around. It was chewy, filled with crisp flavour and was grilled to perfection. 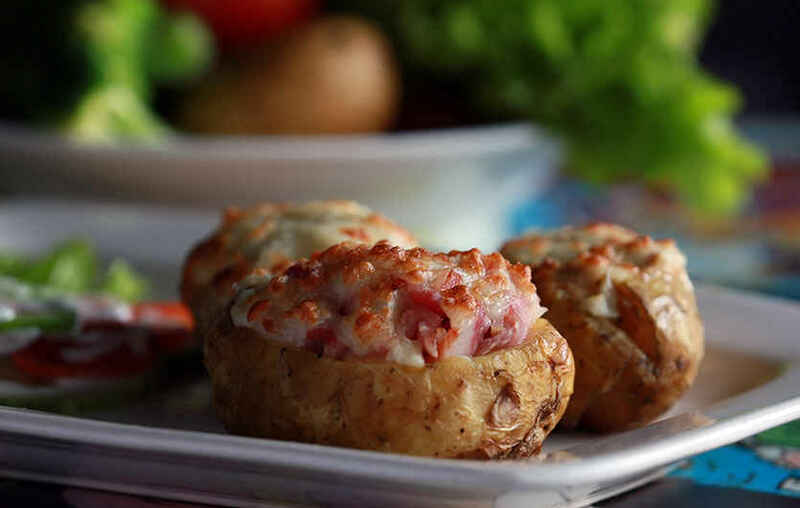 Their loaded Hasselback Potatoes, however have made the cut to our favourite item on the menu. The non-veg variant is stuffed with baked chicken, tuna fish and bacon with copious amounts of cheese loaded into the hollowed-out potatoes. Not to mention, they also have a veg version of it, which surprisingly is just as mind blowing as it’s non-veg counterpart. Just thinking about it makes you crave for it, doesn’t it? For drinks we decided to try some of their fancily-named cocktails. We ordered a ‘Sandman’, which is mixture of vanilla ice cream, beer and lemon, and tastes absolutely refreshing especially in this weather. We also ordered their famous, ‘Hammer of Thor’, which is a red wine-based cocktail with flavours of cinnamon and green apple, giving it a very intriguing taste. However all hell broke loose when we ordered Dr. Doom. A blend of just red wine, white wine and beer, it surely lives up to the name! 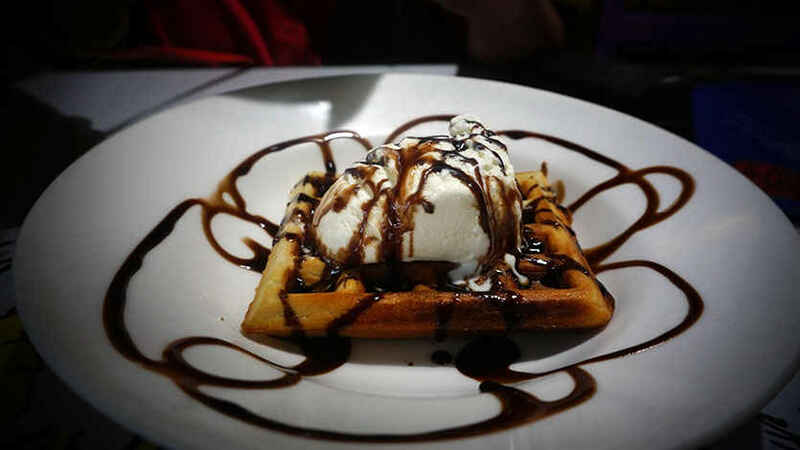 Finally, for dessert, we gobbled up their Waffles with Vanilla Ice Cream, which was the dish for satiating our insatiable sweet tooth cravings! The waffles were well-prepared and the vanilla ice cream yummily creamy - we loved it! With the pricing just right, it’s surprisingly very affordable for an establishment of that standard. What’s more, What A Comic Show is the kind of place that will become your hangout joint before you know it, because of the chill and quirky atmosphere it has created. Come on over!